There isn’t a greater feeling than waking up Saturday morning with “Jump Around” blasting in the background and looking out your window and seeing a sea of red all throughout the streets. Game days have been around for years and there are so many traditions that come along with them! I wish I would have known about some of them before going to my first game freshman year and not knowing what was going on (In no specific order). I hope you find these little tips and tricks helpful for your next game day!!!!!!!!! The Fifth Quarter: Thousands of Badger fans stay after the game is over to watch the talented marching bank perform. Jump Around: The House of Pain hit blares through the entire stadium between third and fourth quarter and there isn’t a single person standing around. The stadium literally shakes and the visiting team can’t help themselves but participate. Buttercup/Time Warp: I am sure you have all heard the song Buttercup and there isn’t a single person who hasn’t sung it here during game day no matter if you’re at the game or not. It is a definite MUST. 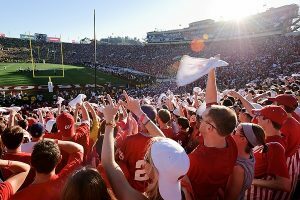 Varsity: Also known as our Alma Mater, fans wave their arms and sing, proud to be a badger now, forever, and always <3 . 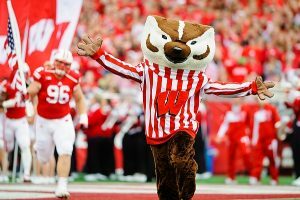 5: The Wave: Wisconsin fans are known for exceptional wave and all the different creative versions they come up with. If you don’t believe me, check out this video!